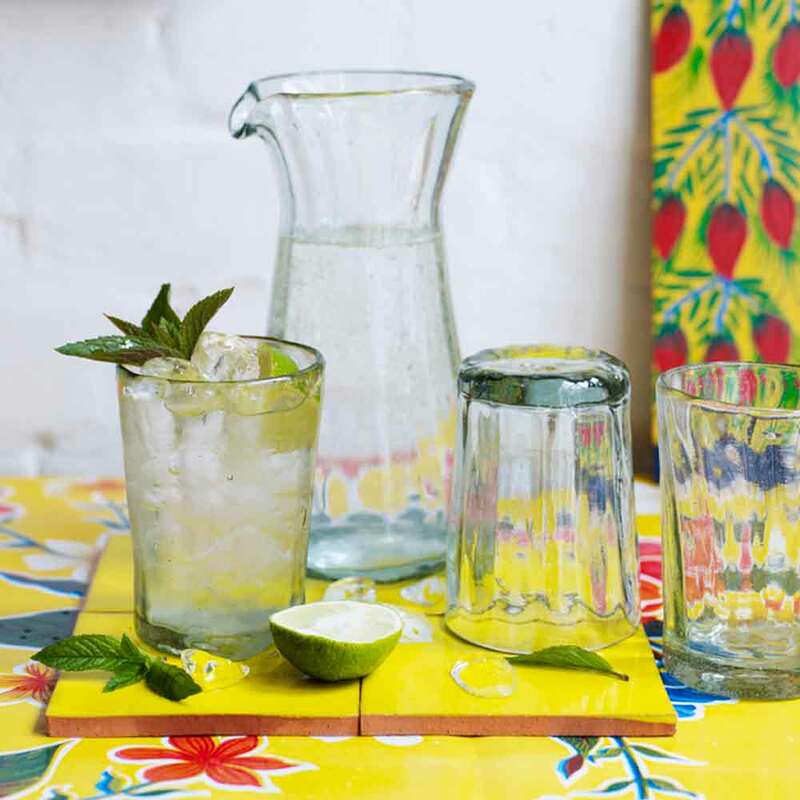 Our recycled glassware is made in a family-run workshop using Pepsi bottles and other discarded glass at the end of their resuable life that are at the end of their reusable life. The glass is melted down and then mouth blown, each piece is shaped by hand and eye using techniques that date back thousands of years. 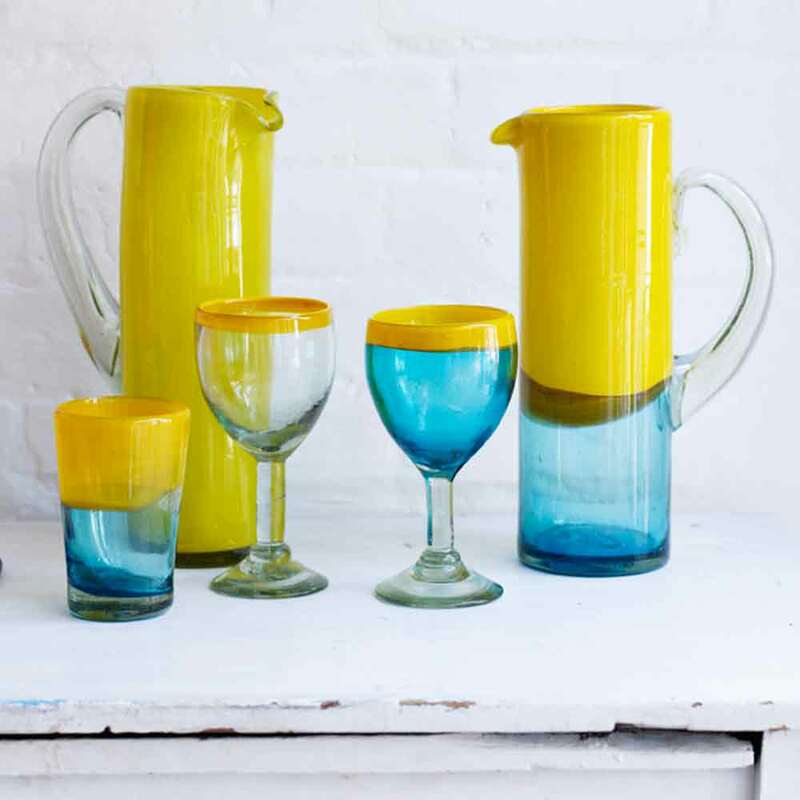 The trace of the maker is captured as the glass solidifies – small ripples and optical distortions are an integral part of the glassware. It is not for those who favour the symmetry of the production line. 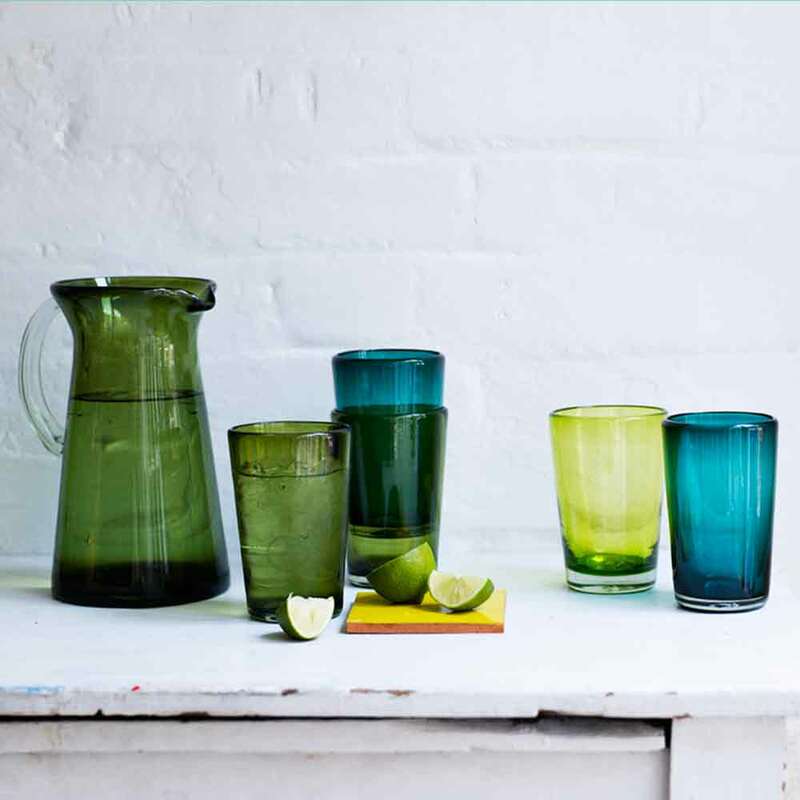 We stock five ranges of recycled hand-blown glassware: engraved glassware, rimmed glassware, coloured and two-tone glassware. 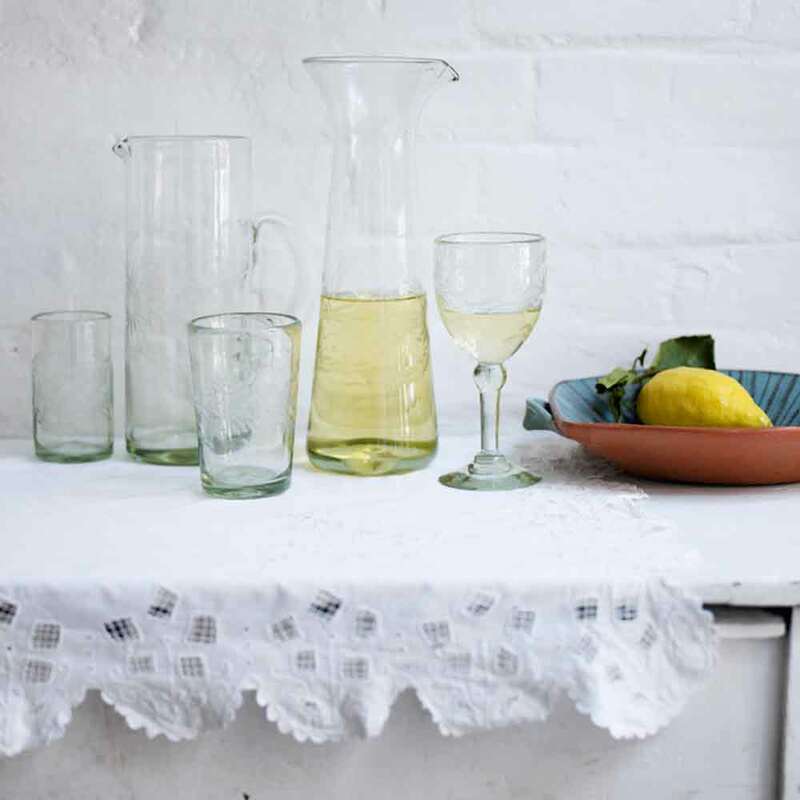 The clear glass is dishwasher friendly otherwise we recommended hand washing.It chunkiness means that it resists physical shock better than most glassware but as with all hand made glassware it is vulnerable to temperature shock. Glass recycles perfectly becuase it is made of such simple materials. It is a myth that recycling glass uses more energy than it saves. 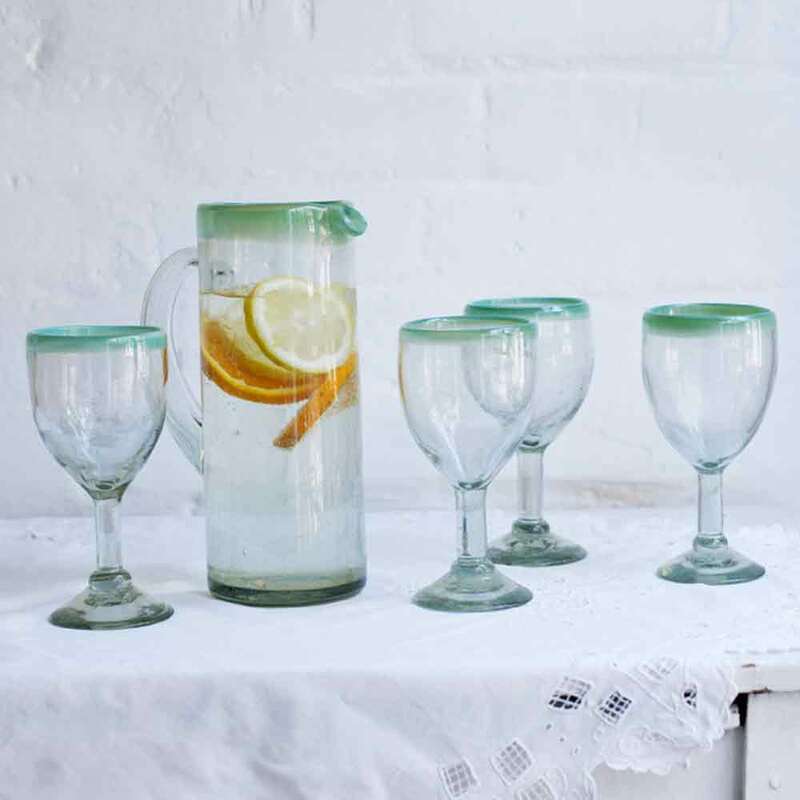 Recycling two bottle of glass saves the equivalent energy of boiling 5 cups of water. 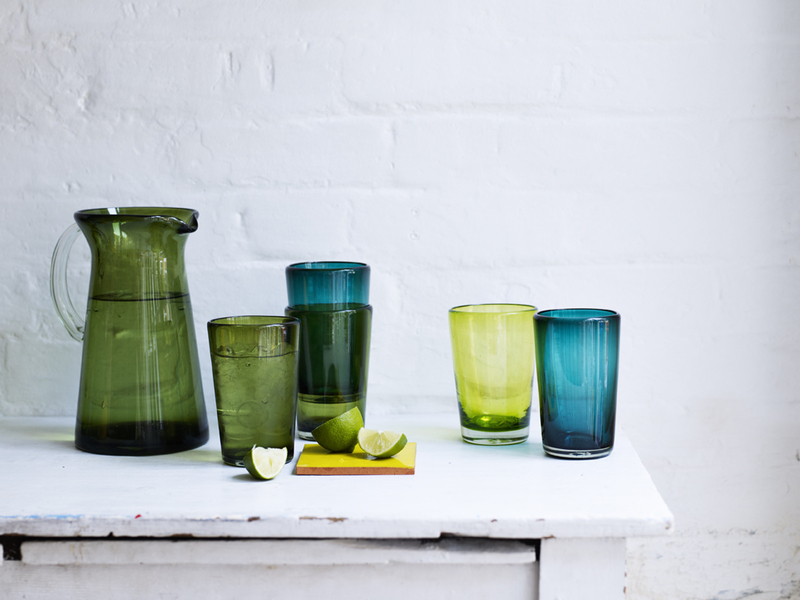 A small saving until you take into account that 240 000 000 tonnes of glass end up in landfill per year. In the UK we use 331 glass bottles per person per year. It also reduces the need for energy intensive quarrying of lime and silica. For every tonne of recycled glass, 1.2 tonnes of raw materials are preserved. Even in accounting for transport and processing recycling saves 315kg of CO2 per tonne of glass.